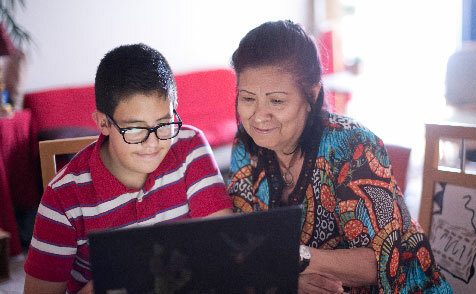 Cox opens a world of opportunity for families that have a K-12 student and receive government assistance with low-cost, home internet---for only $9.95* per month. Open a world of opportunity through an Internet connection. Explore educational tools and resources through the Cox Digital Academy and Cox Connect2Compete. Explore our collection of program materials for Cox Connect2Compete, and find the helpful resources you need to spread the word to qualified students in your school. Take action and help improve your community. 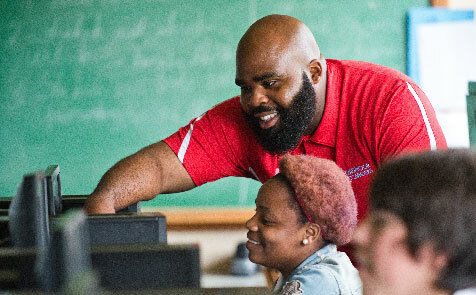 Learn how the Cox Connect2Compete program is working to close the digital divide in your area — and how you can get involved. 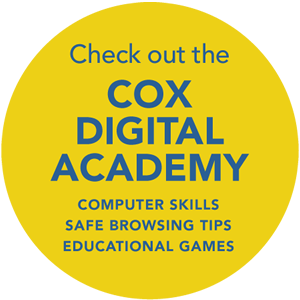 Get tips on safe browsing, plus explore educational videos, tutorials and games for the whole family with the Cox Digital Academy. Focusing on topics such as Internet basics, social media, online safety, job searches and more. It’s the perfect introduction to life on the Internet. "Do it for your kids. If you want your child to explore the world, they can do it on the Internet. It has blessed us. It has opened so many doors. It brings tears to my eyes to see how happy my child is. Being a single parent, having boys, they realize they don’t have to be a statistic." *Restrictions apply. 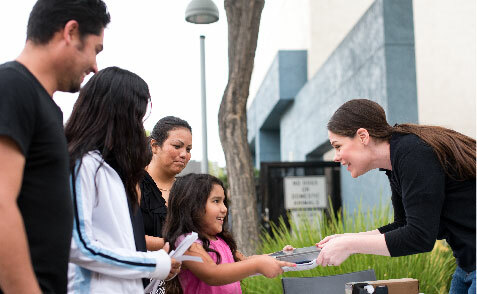 Families with K-12 children who are eligible for the National School Lunch Program, SNAP, and/or TANF; who receive Tenant-Based Vouchers, Project-Based Vouchers or Section 8 Project-Based Rental Assistance (PBRA); and/or who live in Public Housing, are eligible for Cox’s Connect2Compete discounted Internet service offer. Not available in all areas. “No annual contract” means no speciﬁc term period requirement and no early termination fees. All Cox services are provided subject to end-user service agreements (including mandatory arbitration provisions) and other policies, which may be found at www.cox.com/aboutus/policies.html. Offer is available to qualifying new residential Cox Internet customers in Cox service areas who meet eligibility criteria. $9.95/month includes Connect2Compete Internet service (up to 15 Mbps download speeds) on a single outlet. One WiFi modem included with initial activation (may include refurbished wireless gateway). Additional equipment is extra. Advertised program pricing available while eligibility criteria are met. Includes WiFi network access at multiple locations across the country. See www.cox.com/hotspots for available coverage areas and hotspots. No installation charge for standard install on one prewired outlet. Additional installation, applicable taxes, and other fees are extra. Actual Internet speeds vary and are not guaranteed. See www.cox.com/internetdisclosures for complete Cox Internet Disclosures. Then-current Internet service and modem lease rates will apply when program eligibility requirements are no longer met. Offer, prices and eligibility requirements are subject to change. Offer and eligibility are also subject to Connect2Compete program terms and conditions. Call 1-855-222-3252 for restrictions and complete details, or visit Cox.com/C2C. Connect2Compete is a program to provide home Internet service for families. It is not a school program, and is not endorsed or required by your school. Your school is not responsible for Connect2Compete accounts. No school funds were used for this notice.